The month of May brings flowers, but it also signals the start of festival season in the Midwest and I couldn’t be happier. Here’s to astounding bands, cooperative weather and amazing adventures this mighty musical summer. Tally Ho! Act 1 was a phenomenal look into the hero’s journey and Act II takes you even further while capturing nearly the same intensity, dynamics and imagination, but with other flavors and twists. 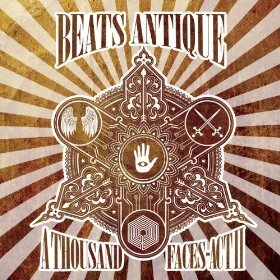 Hopping and skipping across a vast sea of musical genres, their compositions are invigorated by a broad spectrum of cultural and geographical rhythms, tones and approaches, while undeniably being Beats Antique. Brilliantly beautiful! 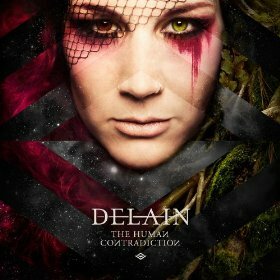 Still having a soft spot for female fronted symphonic metal, I was pleased to find that the Dutch band Delain’s newest delivers an ample amount of crashing metal attacks juxtaposed against delicate refrains and floating synth driven atmospheres. Charlotte Wessels demonstrates an emotional but not overpowering vocal approach, which propels their overall musical ferocity and gothic undertow to new heights and depths. 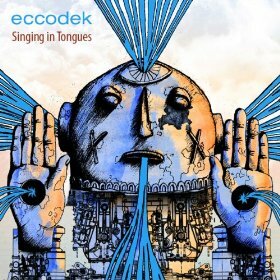 Collaborating with Mali’s Jah Youssouf, Eccodek’s 6th release finds them rooted in Africa, while allowing their sonic architecture to meld with elements from Middle Eastern, South Asian, and Jamaican music. 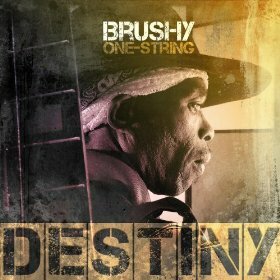 Jah’s exemplary ngoni playing and voice are joined by a dizzying array of vocal and instrumental contributors. An intoxicating musical trip into future globalism.